Ziba Medical Spa is where you’ll find the most trusted dermatologic brands on the market today. From cleansers, lotions, sunscreens, and serums – to cosmetics that are actually good for your skin. We’ve even discovered skin products so amazingly effective, that we put our own name on them! You’ll feel confident about every purchase because our physicians, nurses, and aestheticians only endorse products that demonstrate proven benefits. 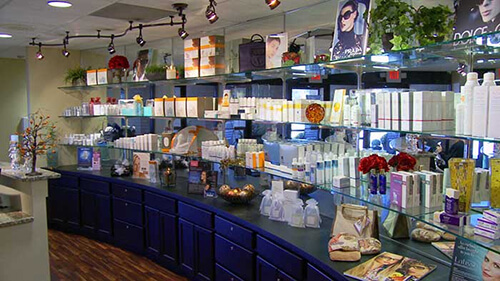 The Ziba Spa Store is your ultimate go-to resource for great values on skin products. If you have a question – even about products you’re currently using – we’re here to help. Expert advice is the most powerful product we offer – and it’s always free to our customers. We make it easy to replenish your favorite SkinBetter Science® products. Ziba Medical Spa is an Authorized Physician Partner with this award winning skin correcting and care line to assure you’re receiving genuine SkinBetter Science® products. Shipped directly to your home FREE. 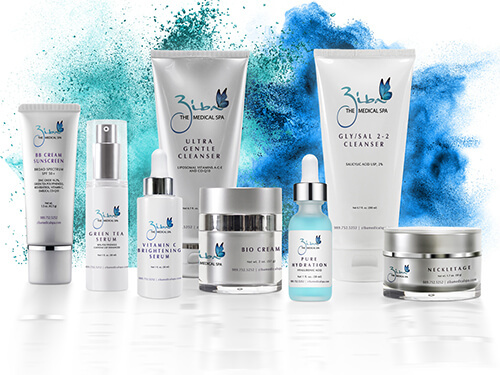 Now you can purchase award-winning SkinMedica® products online from the Ziba Medical Spa Store and receive Brilliant Distinctions® reward points for savings on future products and procedures at Ziba like: Botox, Juvederm, Latisse, Coolsculpting and more! With literally thousands of cosmetic brands available on the market, Ziba Medical Spa chose to offer Jane Iredale Cosmetics for good reason – It’s makeup that’s actually good for your skin. All Jane Iredale products are non-comedogenic and do not block pores. The company has also earned the Skin Cancer Foundation Seal of Recommendation on products proven to aid in the prevention of sun-induced damage to the skin. What’s always in style and never the wrong size? 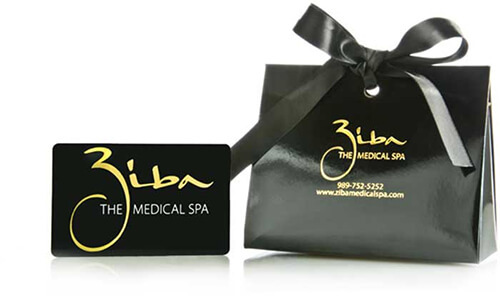 “The little black gift card from Ziba!” Ziba Gift Cards are available in any amount, and deliver a world of skin products and spa experiences for everyone on your gift list. Ziba Medical Spa makes it easy and affordable to get cosmetic care and the enhancements you want. Ziba offers multiple methods of payment including: Cash, check, Ziba Gift Card, VISA®, MasterCard®, American Express®, Discover®, and CareCredit® offering short-term, no interest financing. See us for details.